Zoosk is a senior leading dating site that connects men, and women over 40s who are looking for falling in love one more time. The platform uses top-notch technology that analyses users’ behaviour with the objective to create potential matches. The website currently works locally by linking senior daters who live in the same area, and who share the same interests. Finding mature daters from all over New Zealand in the search for a romance or even friendship, now is possible thanks to Zoosk. 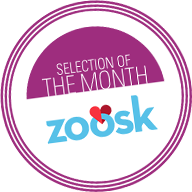 Joining Zoosk is completely free, and can be done in just a few minutes. To start with, you have to complete a form where you provide some personal information. Right after that, the site proposes you a list of users who live nearby, who have the same age, and who have similar hobbies. There are many ways to connect with other users. You can begin by showing your interest in a particular man/woman or sending some winks to capture his/her attention. You can also be a little bit more creative when courting and send a virtual gift. This feature is only available for Premium users though. The site introduces you to potential partners after spending some time studying the way you behave when using the platform, so make sure you spend some considerable time on the site in order to get better matches! Zoosk is very easy, fun, and intuitive to use. A great choice for those who are not used to these kinds of websites. The site caters practically all needs: you mostly will find mature users looking for something serious, but some who are in the search for a casual affair. In spite, that its team does not provide exhaustive background checks, there are not fake profiles. In such way, it is easier to find Kiwi men, and women over 40s who really want the same things as you! The “Carousel”: a tool that introduces you to potential matches taking into account the information you include in your profile, and then you can decide if you “like” them or “pass”. 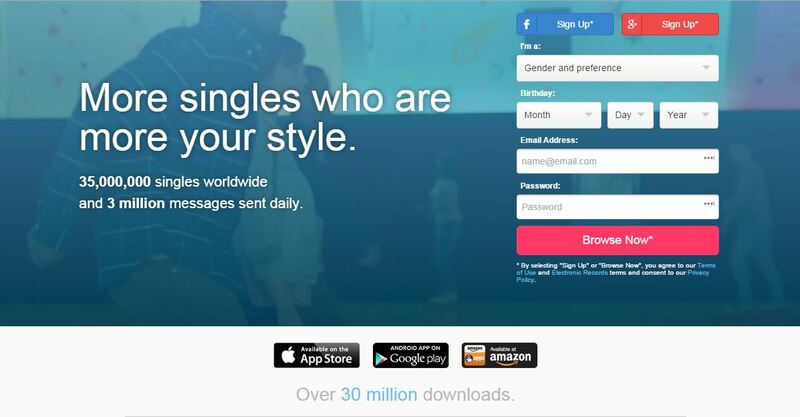 If there is a match, and you have Zoosk coins, you can start chatting. “SmartPick”: a feature that is based on your behaviour when using the platform. The site presents you some potential matches, and if there is a mutual interest, you can message each other. “MegaFlirt”: a tool that connects you with scores of users at once. All you need to do is to pick an icebreaker and send it to several users. If the response is positive, then, you can communicate. Zoosk takes its user’s security, and privacy very seriously. The platform does not routinely check its members or inquire about their backgrounds, but give them the chance to verify their accounts by connecting their accounts to Facebook or Twitter. The platform offers a safety guide, and has a dating blog with tips on how to date safely, and all the essential information to make your time when using more profitable, from articles about how to make your profile to stand out from the crowd to pieces about how to communicate with other users, and get a first date! Amazing blog with dating tips The platform does not routinely check its members or inquire about their backgrounds. It does not have customer live chat. There are some senior dating sites in New Zealand that use matchmaking systems to connect like-minded users, but Zoosk’s trademark Behavioural Matchmaking technology goes one step further as it takes into account the way you use the platform in order to match you with mature men/women who really meet your criteria! The fact that the platform considers your behaviour when you are logged in to connect you with other potential daters, instead of forcing you to take a personality test or fill out a questionnaire, as many other matchmakers do, saves you lot of time, which can be used instead to communicate with those matches who have caught your attention, if there is a spark, to plan the first date!